Sally’s is the most celebrated venue in Tyrone. Winner of numerous awards such as NI Irelands Pub & Club of the Year, Tyrone’s Gastro Pub of the Year, Best Tourism/Visitors Bar and the only winner in three consecutive years of the coveted FATE awards. Sally’s is a complete entertainment complex, able to cater for every age group, gender and social craving. The front bar retains its traditional setting and the character for which it is widely renowned. The contemporary lounge, with subtle retro styling is the heart of Sally’s bistro. The area is bright and spacious expanding out onto a continental style courtyard. Sally’s exclusive chic club is spread out over two floors. With it’s vivid, interiors, state-of-the-art sound system, graphics and lighting, the club embodies everything in-vogue. Quality in-house DJ’s elevate each night from Thursday to Sunday with on trend, high-energy floor fillers. A glamorous venue wouldn’t be complete without a VIP area, with reserved seating, an intimate bar, smoking area and toilet facilities. 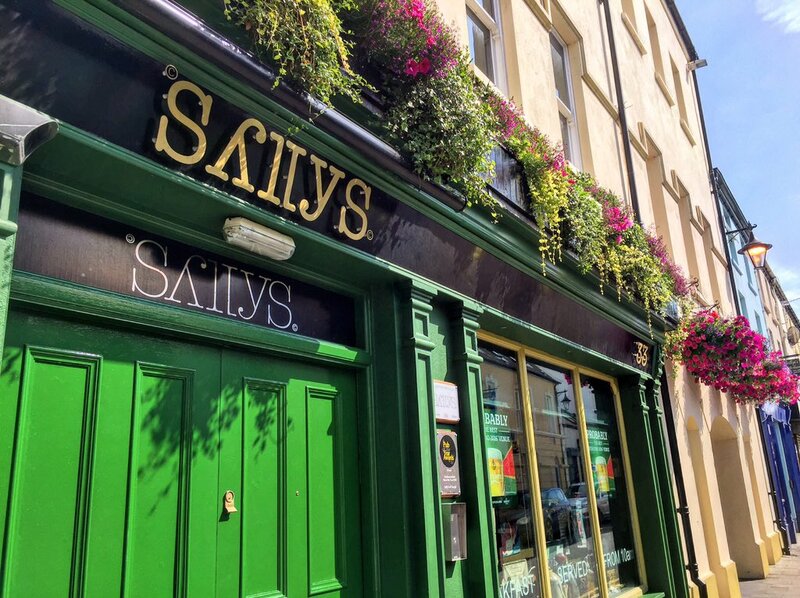 Along with fantastic live entertainment in the traditional Front Bar and the ultimate clubbing experience, Sally’s offers a superb menu in the Bistro, which has been awarded the coveted Tyrone Gastro Pub of the Year award by the Restaurant Association of Ireland. The contemporary design coupled with exquisite menu offers a fine dining experience at a very affordable price.